Digital cutting for small format. 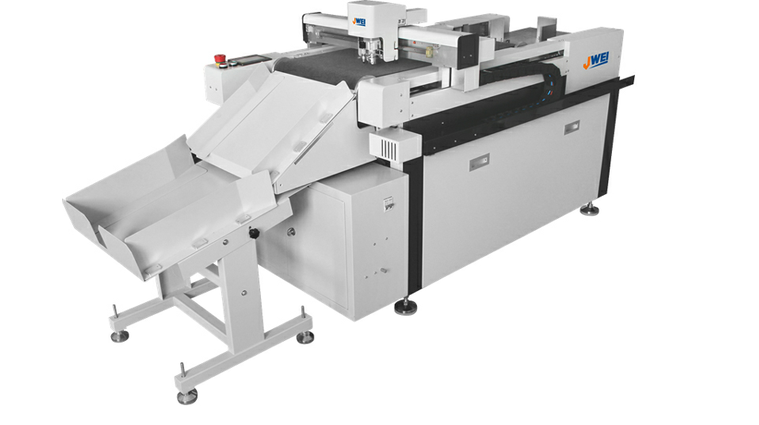 Double tool head, with camara registering system, which guarantees cutting and creasing presition. Uses different tools like the cutting and creasing, with an optional drawing tool. Applications: Crafts, packaging/ Boxing, vinyls and stickers, etc. Perfect for prototyping and small production, offering quick results, allowing customized production. Integration with digital printing machines. Material Cardboard, PVC foam, kraft, Magnetic sheets, PET sheets, printing blankets, etc.